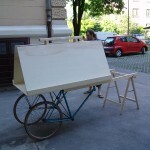 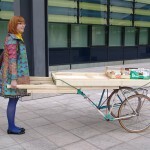 The Ciza Museum is a mobile device used for artistic interventions, presentations or exchange in public space. 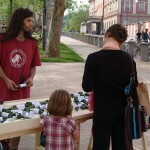 The device is intended to be taken to various well frequented spots in the city to activate public dialog, discussion, presentation or communication. 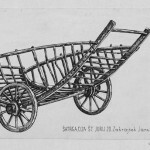 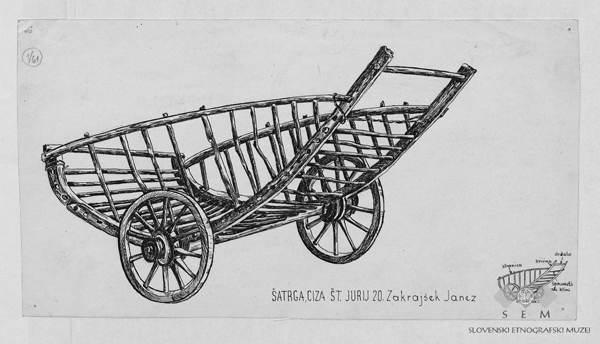 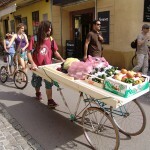 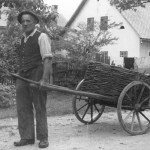 Ciza is the Slovene word for pushcart, traditionally used for transporting locally grown produce to the market. 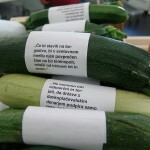 The Ciza Museum was first used in Ljubljana in a public intervention in which zucchini were distributed among passersby, individually wrapped in pieces of paper with short “problematic” statements uttered by local politicians that put in evidence their reactionary positions, stupid, or xenophobic demagoguery (in Slovenia the popular expression “sell zucchini” means “sell bill of goods”). 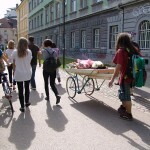 The Ciza Museum comes as a result of a public workshop that took place at the Museum of Contemporary Art Metelkova in Ljubljana in May 2012 in the framework of the exhibition “This is Not a Museum. 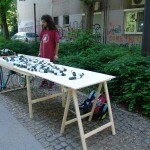 Mobile devices lurking”.